Even though it’s been many many many many years since I left school, I still get that ‘back to school’ new stationery craving in September. Well that’s a bit of a porkie pie, my paper lust means I have cravings year-round. 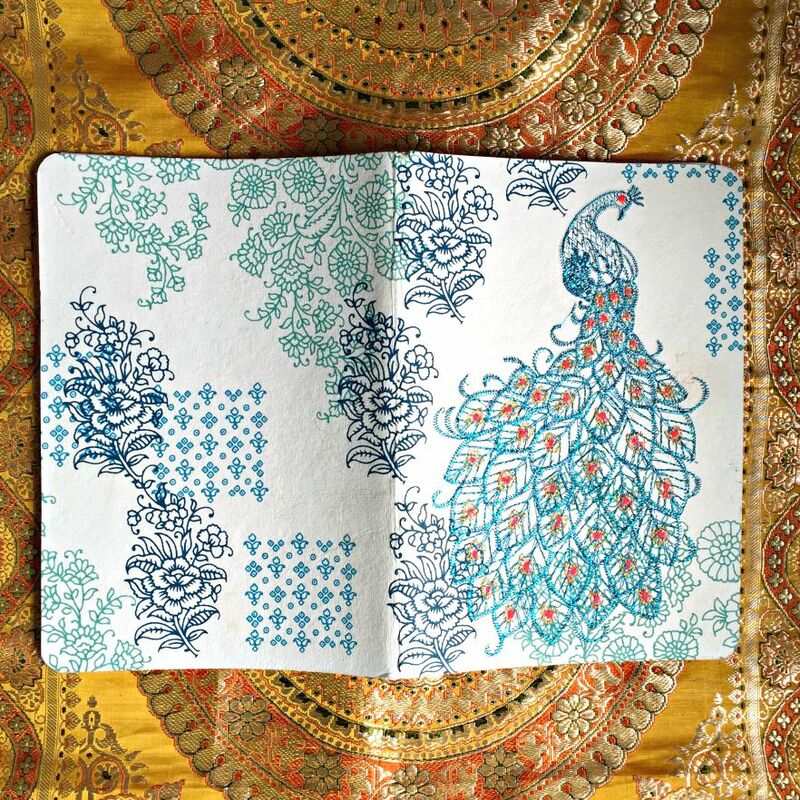 The latest object of my affections is this beautiful, peacock patterned notebook, hand embroidered in India. It’s a sight to behold. 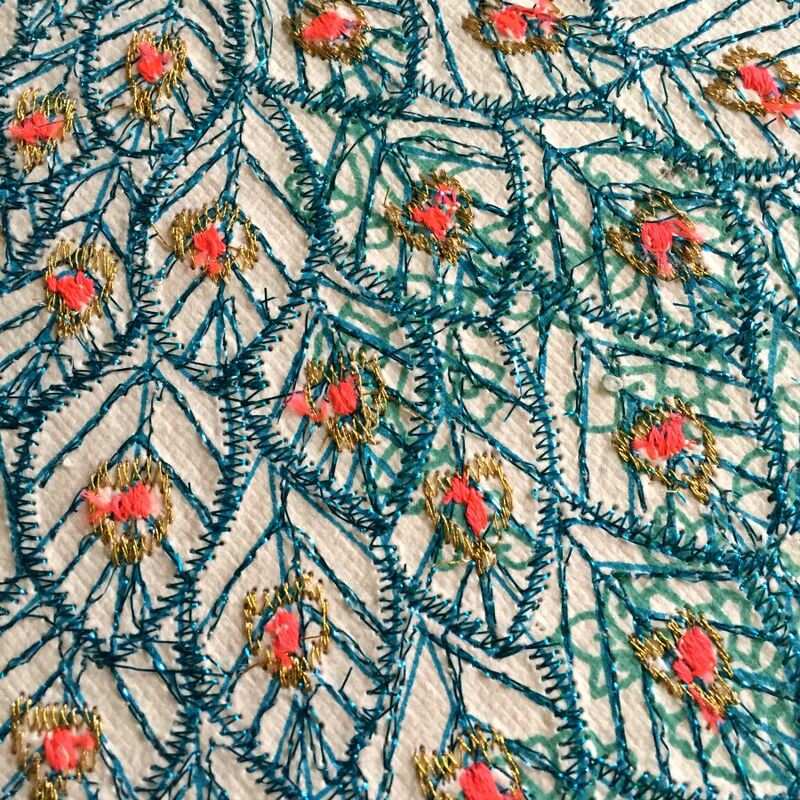 The cover is screen printed with floral mendhi-like patterns in my favourite shades of blues and aquamarine, then embellished with metallic thread embroidery with pops of neon. 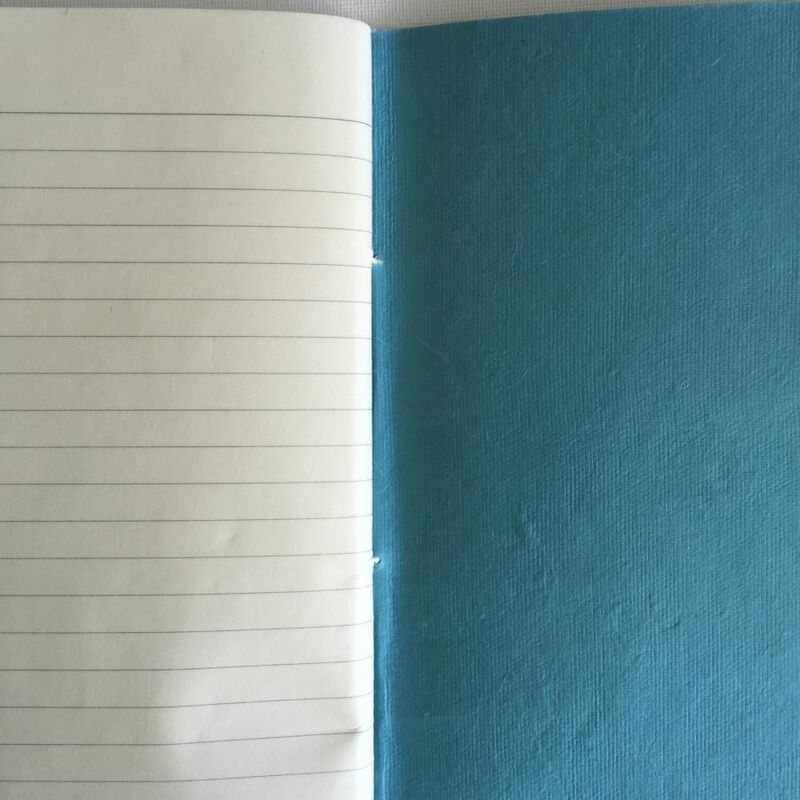 The inside covers are a dreamy sky blue and the notebook has 120 pages of lined, recycled cotton paper. I prefer unlined paper but hey you can’t have everything. Size-wise it’s between A5 and A4 size (18cm by 25 cm to be exact). The cover is quite delicate so this is not a notebook for lugging around in my everything-but-the-kitchen-skin bag or using for ‘to do’ lists. No this is for writing down my joys, hopes and dreams. If you’re one of those sickeningly organised, selfless people, put this on your Christmas shopping list pronto – you must know someone who will love this as much as I do. It is just gorgeous. The paper feels around 120gsm and is smooth. I haven’t tried it with a fountain pen to see how it behaves. Sounds lovely, let me know how it goes. Will I see you at the Ai Wei Wei bloggers event? Will do. Yes see you there! Hi I’m just looking at this journal. 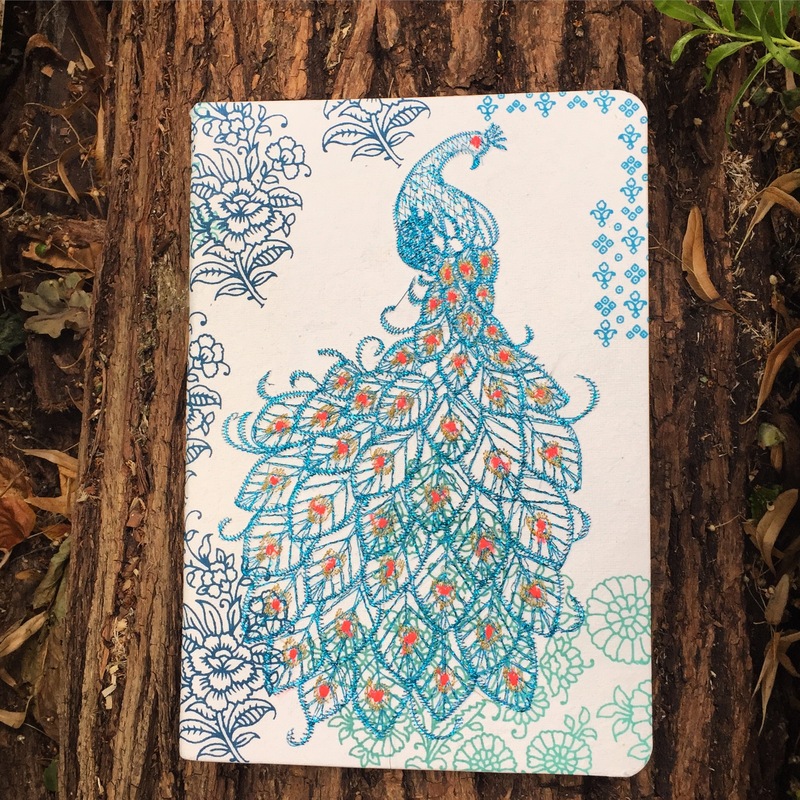 Did you try with a fountain pen on the paper? If you do, please share your experience! Depends on how it went, it will change my decision. Hi. I haven’t but I will try for you and report back tomorrow (i need to get some new ink)! 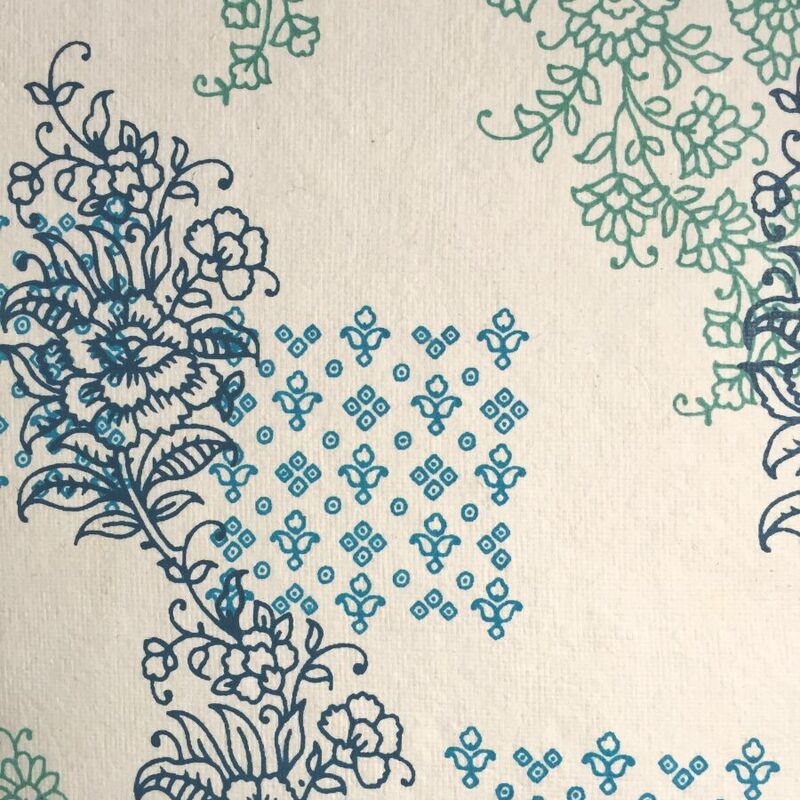 Fountain pen was fine – no feathering or bleed through. The paper is not completely smooth on every page though. Hope that helps!